Transat, named the 2018 World's Best Leisure line, is pleased to announce it will be adding Split, Croatia, to its transatlantic flight program. Starting in the summer of 2019, the airline will offer a weekly direct flight to this city, known for its picturesque beaches on the Adriatic Sea. "Tourism has seen incredible growth in the Balkan Peninsula, which many now rank among the top European destinations," explains Annick Guérard, Chief Operating Officer at Transat. "We've seen great interest in Croatia since we started flying there in 2016. That's why Air Transat is proud to be meeting this demand even better by upping its offer to three direct flights from Toronto, including two to Zagreb," she adds. "And thanks to our connecting flights from Montreal and Vancouver, more travellers can now discover Croatia's second-largest city." "Split will amaze Canadian travellers eager for something new," said Gari Cappelli, Minister of Tourism of Croatia. "Not only does it boast a rich heritage, with a UNESC-declared historic centre that dates back to the Roman Empire, but its location makes it the perfect gateway to the islands of the Adriatic Sea and Eastern Europe." Travellers will be able to start booking flights to Split shortly. 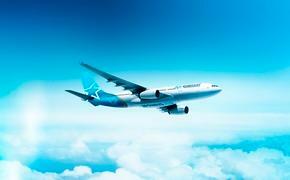 Details on Air Transat's flight program for summer 2019 will soon be announced.